The speaker of Israeli parliament has denied a request by a Christian lawmaker to display a Christmas tree in the parliament building, a spokesman for the speaker said Monday. 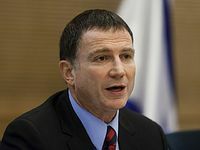 Speaker Yuli Edelstein rejected his colleague’s request to publicly display a Christmas tree, but said he could have one in his office or in his party’s conference room, the Associated Press reports. A spokesman for Edelstein said that the refusal to allow a Christmas tree had nothing to do with Israel’s status as a Jewish state, but instead that keeping a tree in Parliament until Orthodox Christmas ends on Jan. 7 would be too long. This isn’t the first ban on Christmas trees in Israel. The mayor of a Jewish town bordering Nazareth has refused to allow town-sponsored Christmas trees in the past, despite the fact that the town has some Christian residents.